Let’s face it: fame found as a result of an appearance on American Idol can be a mixed bag. 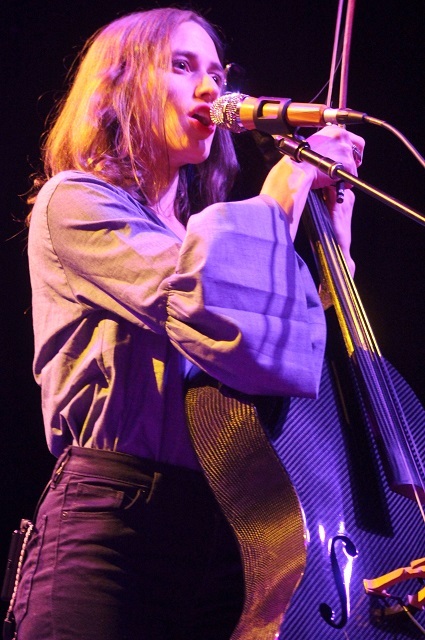 On one hand, there’s the bad (William Hung, that guy who sang that “Pants on the Ground” song, Nikki McKibbin). On the other hand, without Idol none of us might ever have been exposed to Carrie Underwood, Jennifer Hudson, Kelly Clarkson… While I haven’t seen the ABC reboot of this show, I have been known to follow the show in the past. 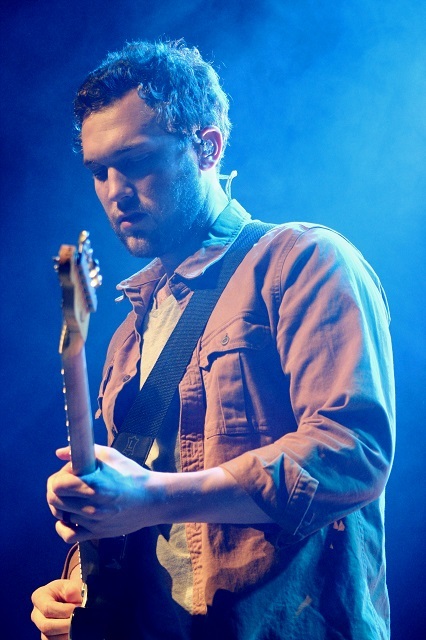 Ever since Phillip Phillips‘s audition with a brilliant cover of “Thriller,” I’ve been a big fan. 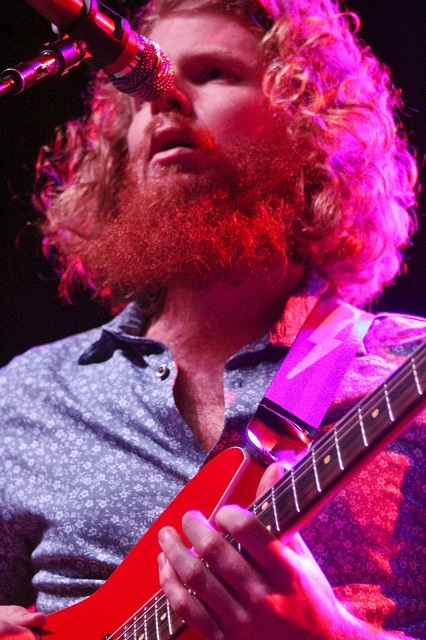 Over the years, I’ve seen him go from a no-name hopeful on a reality TV singing competition to winning the whole shebang, to opening for John Mayer, to headlining a Napa music festival. 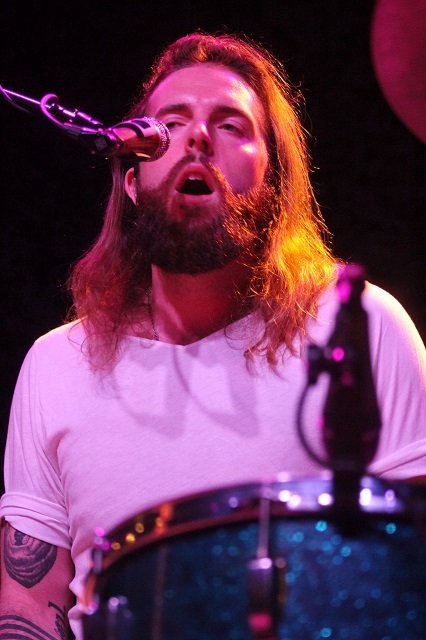 Now he’s released his third album, Collateral, which he played San Francisco’s legendary Fillmore this week to promote. When the band took a breather for Mauch to introduce each of the members of the band by name, they gushed about what an honor it was to play the hallowed halls of the Fillmore, with one of the boys adding that you “don’t break shoes at Bottom of the Hill!” The next song was the rocking “Noble Rot,” which turned out to be a personal favorite when all was said and done. It was during this song that my date for the evening, my sister-in-law Ricki, noticed that Mauch had a band of bells around his thigh, which jingled as he was busy playing the drums. After “Oars to the Sea,” guitarist Martin Earley (whom Mauch had offered up as the band’s “blond bombshell”) introduced the next song as “a letter to our president… do with that what you will.” The song was called Do Something, and the line that really hits you right “in the feels” says “do something kind with our patience.” What a tactful way to address the messiness that is currently America’s government. The Thieves closed their set with “Anybody Else,” which is about really only ever wanting one person, and I think most of us can all relate. A little while later I stood at the foot of Phillip Phillips, who began with “Hold On,” followed by a personal favorite, “Unpack Your Heart,” and then recent single “Miles.” At this point, Phillips announced to the crowd that he’s often asked what baseball team he roots for, and the audience was delighted to hear that it’s the Giants. Buster Posey is, Phillips explained, from the same town Phillips himself hails from, so as he sees it, he’s still cheering for the “home team” as a Giants fan. After “Man on the Moon,” I must have missed someone shouting out that she loved Phillips. I did, however, smile when he replied back to the crowd, “I love you,” because it sounded sincere. During “Raging Fire,” there was an epic crowd singalong moment in the last few choruses, which obviously delighted Phillips. Wanting to keep it going, he took a moment before the next song (“Into the Wild”) to teach the audience the bridge, which he wanted us to sing with him. “I’m a horrible teacher,” Phillips lamented. Phillips stopped to check on the crowd, saying he hoped everyone was having a good time and thanking the crowd for coming out, after which he introduced the members of his excellent band. “Home” came next and then another new one, “My Name,” after which they briefly vacated the stage. 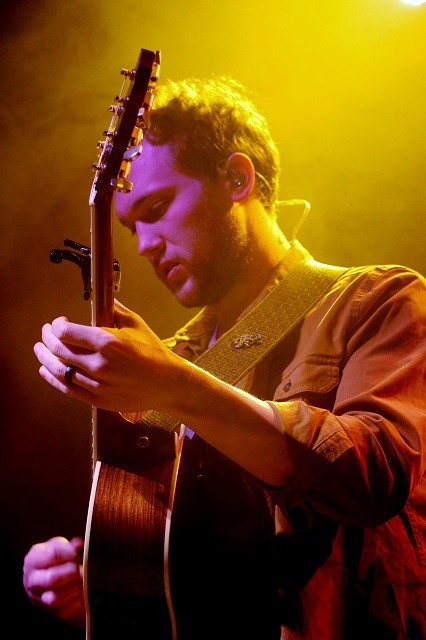 When Phillips returned for the encore, he was alone with his guitar. The song he wanted to play was an older song, he explained, and was one he’d only played on tour one other time. It was “A Fool’s Dance” from his first album, and it was lovely. The band returned, and I wondered what the last song might be. I had hoped for a few of the songs from the few album I’d taken a particular liking to, particularly one I kept saying reminded me of Phil Collins’ “In the Air Tonight.” It wasn’t that song, but it was something equally pleasing: Phillips’ cover version of that exact Phil Collins song. 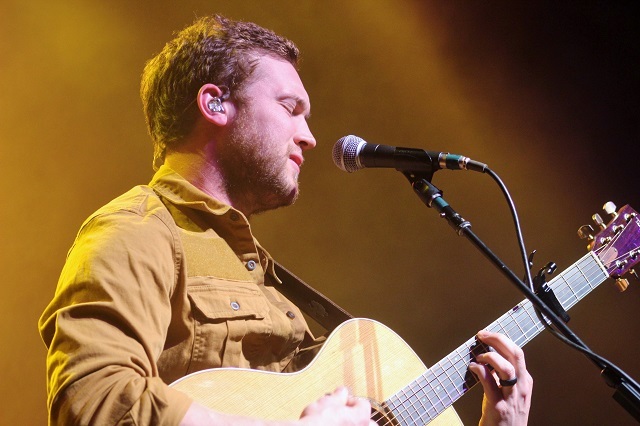 It was brilliant, and Ricki and I left the Fillmore marveling at Phillips’ genius at covering songs. Not to sound too Paula Abdul about it, but he really does “make them his own.” Better still, he has plenty of great music of his own, and he even co-writes almost every song he releases. Score one for reality TV for bringing us this absolute gem!